Easter Crosses Brooch with a gift Card. This is a meaningful gift to give out in Sunday Schools or church groups, or even for fundraising. Brooches are metal with enamel design measuring approximately 2cm. 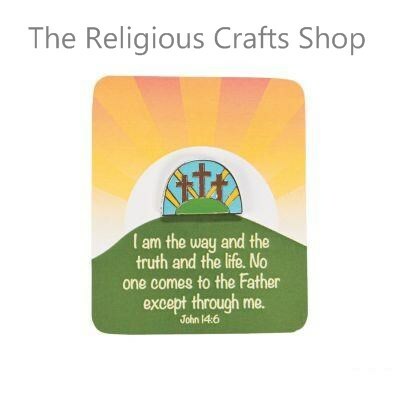 Set on colourful card measuring 7cm by 6cm, with an Easter quotation - John14:6.